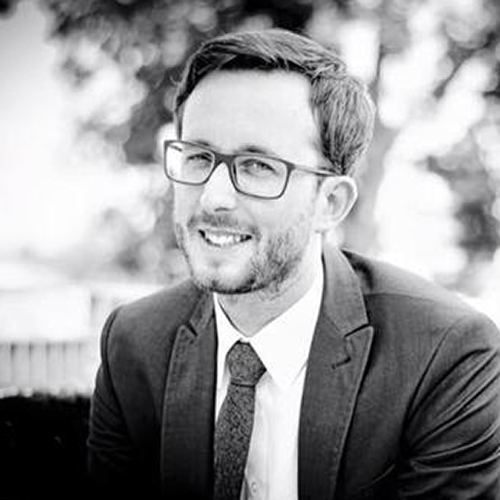 Tilman Hagen is a consultant in the SAP BI field at Braincourt GmbH. Braincourt is specialized in designing and implementing Corporate Performance Management software solutions as well as providing comprehensive project management services. Tilman Hagen is a Bachelor of Science in Business Information Systems. Already during his studies at the Hochschule der Medien Stuttgart (Stuttgart Media University), he gained his first experience in Business Intelligence and information design. Since 2007, Tilman Hagen is a consultant in the SAP BI field at Braincourt GmbH. In addition, he has served as the head of “New Technologies”since 2013. Tilman Hagen has successfully completed the IBCS® certification for successful design of reports and presentations at the HICHERT+FAISST IBCS Institute in April 2013. Quarterly comparison of sales by product group/product This first example shows the distribution of sales in a bar chart. Due to the 'fatter' visualization of product groups, this is easily distinguished from the individual products. Additional integration of the percentage change makes it easy to spot outliers quickly. Any scope for action is also emphasized through a message and markings. 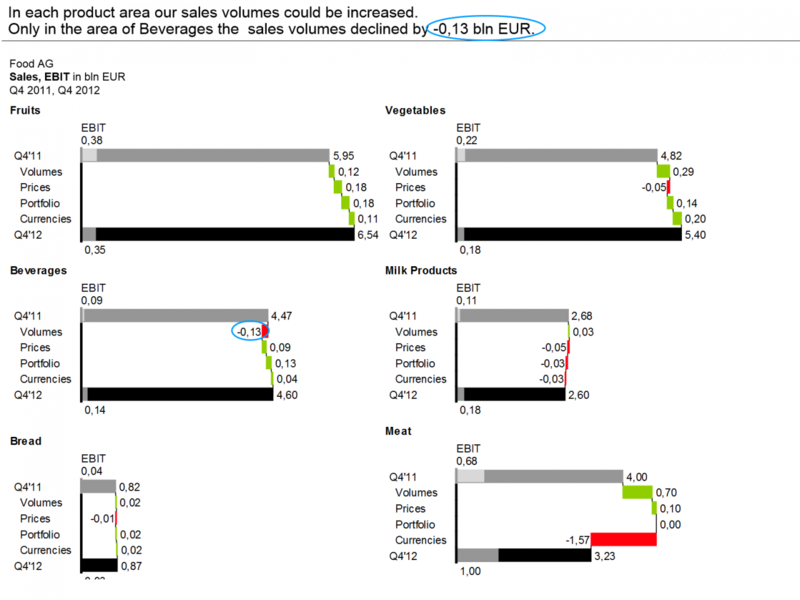 Development in sales and EBIT per product group on a quarterly basis This second example enables an analysis of the underlying causes of the changes shown in example 1 using a waterfall chart. 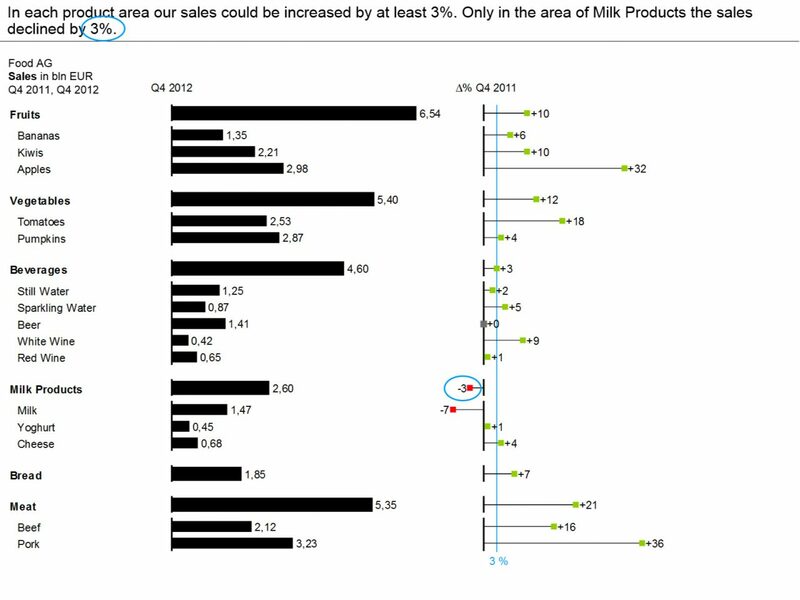 For example, the information that sales only fell in Beverages was not visible in the visualization in example 1. In addition, the return on sales of a product group can be identified through the integration of EBIT. Braincourt is a German consulting company specialized in designing and implementing Corporate Performance Management software solutions as well as providing comprehensive project management services.